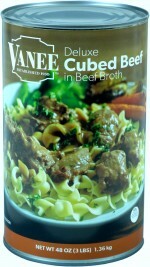 Drain and shred CUBED BEEF IN BROTH. Heat to serving temperature in a large crock pot. Mix in jalapenos and red onion. 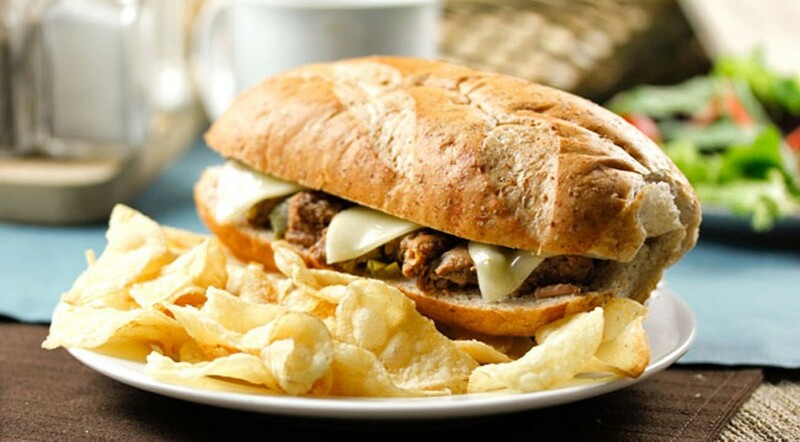 Portion a 3 oz serving on sub roll. Top with sliced Swiss cheese and toast in toaster oven or broiler until cheese is melted.